Due to equipment failure, the Port Authority's Cayman Brac office is currently unable to receive calls or assist customers. We apologize for the inconvenience and hope to have services restored shortly. See what the Port Authority is all about in this short (2 minute) video. You can watch it HERE. 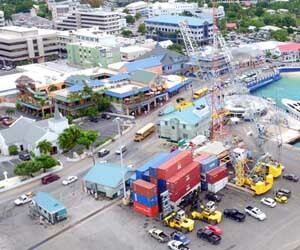 The Chairman and Members of the Board of the Port Authority of the Cayman Islands cordially invites the general public to attend the official un-veiling of a mural painted by local resident artist Tansy Maki Mo..
Notice: Collection of Sold Items This is to notify that some of the items sold at the PORT Auction has yet to be collected. Please see attached pictures of unclaimed items. The owners need to collect them..
Project: Improvements to Spotts Cruise Terminal Facilities Employer: Port Authority of the Cayman Islands Tenders are invited from suitable qualified contractors for the security fencing, masonry walling ..
To show our appreciation to all our valued customers, the Port Authority is having our annual Customer Appreciation day at our Billing Office in Industrial Park. Come join us on December 7th, 2015 between 10:00..
Clement Reid, Port Director of the Port Authority of the Cayman Islands, was formally installed on November 4 as the 2015-16 chairman of the Caribbean Delegation for the American Association of Port Authoriti.. The Board of Directors of the Port Authority of the Cayman Islands (PACI) is pleased to announce the selection of Mr. Clement Reid as the new Port Director of the PACI. After careful consideration using.. 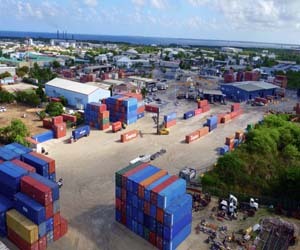 The Port Authority of the Cayman Islands wishes to advise the public of an auction, in accordance with Section (24) of the Port Authority Law, of abandoned goods. A listing of the goods can be viewed here for y..